of a woman who’s even now filed under Ephemera. 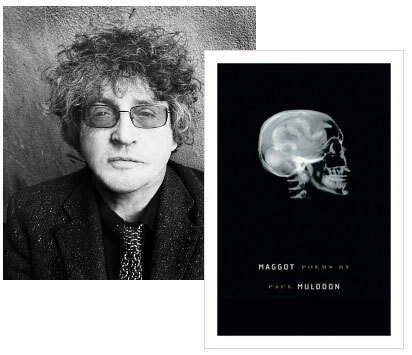 Maggot is the eleventh volume of poems from Paul Muldoon, who’s currently serving as the poetry editor at The New Yorker. In that capacity, he’s taking part in a charity auction for Housing Initiatives of Princeton, offering himself up as three separate prizes: you could get a private reading of some of his poems; you could get a one-on-one consult about your own verse; you might even try for the guided tour of the New Yorker offices. The bidding runs through October 28, 2010, with a party at Princeton’s Present Day Club two nights later. 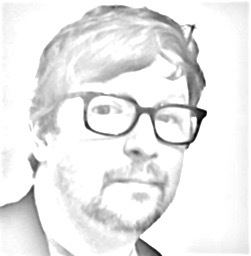 “Poetry is as vital as ever,” Muldoon recently told The Economist. “The teaching of poetry reading, however, is sluggish and, often, slovenly. It needs to be expanded in the school curriculum and be more a feature of society at large. The newspapers should all be carrying a daily poem. It should be as natural as reading a novel.” In the meantime, we do what we can.